The Pound Australian Dollar (GBP/AUD) exchange rate is up today and is currently trading around AU$1.8091 on the inter-bank market. Sterling (GBP) rose against the Australian Dollar (AUD) after the publication of Australia’s building permits figures for December fell well below expectation to -8.4% – their worst two-month drop since 2009. Some of these losses, however, were buffered slightly after yesterday’s release of China’s Caixin services PMI figures for January, which fell, although not by as much as had been expected, to 53.6. Chinese banks will be closed for the next three days, with today being the Chinese New Year Eve, leaving the Australian economy and geopolitical events to dictate the ‘Aussie’ movement. The Pound, meanwhile, managed to gain against the Australian Dollar despite poor UK construction PMI figures for January, which fell below expectation to 50.6 – their weakest growth in 10 months. Meanwhile in Brexit news, Prime Minister Theresa May is now set to visit Northern Ireland tomorrow following discussions at Downing Street amongst hard-line Brexitteers such as Conservative MP Jacob Rees-Mogg today. Theresa May has assured her ‘absolute commitment’ to avoid a hard border for Northern Ireland before returning to Brussels to renegotiate the new Brexit deal, with particular emphasis on the Irish backstop issue. Many GBP investors, however, are remaining cautious as the EU has particularly stated its reluctance to renegotiate this aspect of the deal, with fears increasingly mounting that the UK may fail to secure a deal ahead of the 29 March deadline. The Australian Dollar has failed to gain from promising news regarding the US-China trade talks last week, with US President Donald Trump commenting that there is a ‘good chance’ that a successful deal will be secured between the two nations. Political tensions between the US and China have been plagued by last year’s controversial arrest of Huawei’s Chief Financial Officer, and these concerns have potentially kept ‘Aussie’ investors’ hopes in check as the two nations attempt to forge a deal ahead of the end of the ‘trade truce’ on 2 March. Sterling traders will be looking ahead to tomorrow’s publication of the BRC like-for-like retail sales figures for January which are expected to decrease, potentially weakening the Pound. These will be followed by the publication of the UK Markit services PMI figures for January, which are also expected to decrease. 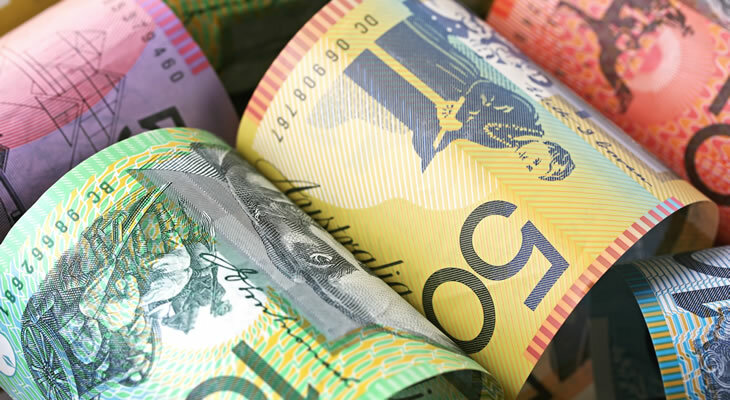 Australian Dollar investors, meanwhile, will be keeping a close eye on the Reserve Bank of Australia’s interest rate decision tomorrow, with rates expected to remain static at 1.5%. Tomorrow will also see the publication of Australia’s trade figures, and with any signs of an increase likely to see the AUD/GBP exchange rate rise. The GBP/AUD exchange rate will be sensitive to developments concerning Brexit, with any signs that the EU remains resolute on the Irish backstop issue potentially stoking fears of a no-deal, which would likely see Sterling plummet.